Why Does Lithium-Rich China Import So Much? China’s enthusiasm for new-energy vehicles has sent its demand for lithium — a raw material used in electric car batteries — into the fast lane, boosting the metal’s prices at the same time. The cumulative number of new-energy vehicles that have been sold in China is approaching 1.8 million cars, accounting for half of the global market. If all goes according to the Chinese government’s plan, 5 million new-energy vehicles will have been sold in the country by 2020. As a consequence of China’s largely government-driven push to go electric, the domestic price of lithium carbonate, a lithium salt used by battery-makers, exceeded 170,000 yuan ($27,000) per metric ton at the end of 2017, up from 50,000 yuan to 60,000 yuan per ton in 2015, according to Chinese commodity information provider 100PPI. Lithium is used in the production of ceramics, glass, industrial lubricants, and coolants, but the battery industry is the top consumer. Even as battery-makers demand more of the silver-white metal, most of the country’s abundant lithium resources remain untapped. 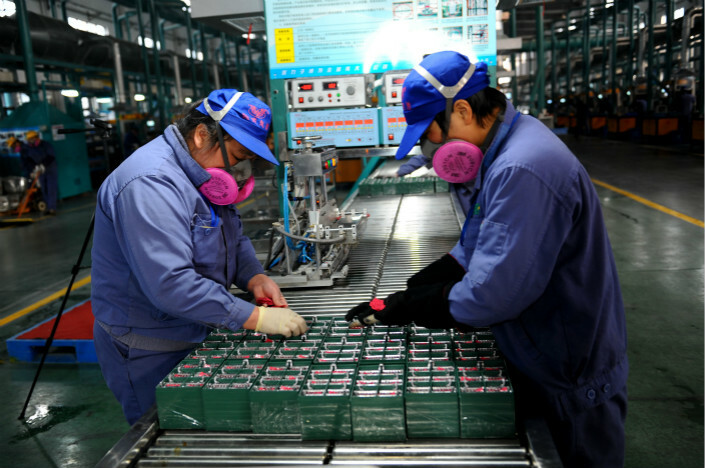 While China is home to the world’s fifth-largest volume of lithium deposits, the country’s electric car industry relies on imports to meet 80% of their needs, according to Fu Xiaofang, an engineer with the Sichuan Bureau of Geology & Mineral Resources. A combination of environmental concerns, inconvenient geographic conditions and immature lithium-extraction technology has pushed the country’s battery-makers and lithium processors to look abroad for steady supplies of the metal. The Jiajika mine in Sichuan province’s Garze Tibetan autonomous prefecture is one of China’s largest lithium mines, with proven reserves of 1.89 million metric tons (2.08 million tons), according to a January 2016 report by the prefecture’s land resources agency. But the mine, located on a mountain that locals consider sacred, has been inactive since an ecological scare four years ago. On Oct. 13, 2013, much of the aquatic life in the nearby Balang river suddenly died, an event that the local government later blamed on pollutants that leaked from a factory run by privately owned lithium producer Youngy Co. Ltd.
Local residents have always been quietly opposed to lithium extraction in the area, so the 2013 incident cemented local opposition to mining, a member of the Sichuan-based environmental group Lüshu Qingshan told Caixin. The prefectural government eventually signed a document promising to suspend mining for as long as locals opposed it. Since then, little progress has been made toward reopening the mine. At the end of 2015, the prefectural government revealed a plan to turn Garze into “China’s Lithium Capital” — a plan that gives a starring role to an operational Jiajika mine, which the government hopes could bring in close to 1 billion yuan in annual revenue for Youngy and tens of millions of yuan in taxes for the prefecture’s government. However, this vision has proved difficult to realize. As recently as Feb. 14, the local government said online that residents were still opposed to reopening the Jiajika mine. While the lithium reserves in the provinces of Jiangxi and Sichuan are mostly found in hard-rock ore, over 80% of China’s lithium is deposited in the form of lithium brine in salt flats — primarily in Qinghai province and the Tibet autonomous region. The country’s largest lithium deposits are in Tibet’s Lake Zabuye and Qinghai’s Qarhan Salt Lake. But the salt lakes’ lithium resources are underexploited. According to the Beijing-based industry research firm Intelligence Research Group, the combined capacity of China’s two largest salt lakes was less than 20,000 metric tons in 2017. In contrast, the Atacama salt lake in Chile has about the same amount of lithium reserves, but can produce more than 33,000 metric tons of lithium salt a year. One of the problems is Lake Zabuye’s location. It is perched on the Qinghai-Tibetan Plateau, where transportation links are poor. Qarhan Salt Lake is easier to access, but the quality of the lithium deposits there is far lower, meaning companies hoping to extract battery-grade lithium salts have to deal with greater technical hurdles. In 2017, Qinghai’s government technology bureau and resin manufacturer Sunresin New Materials separately announced major breakthroughs in salt lake lithium extraction technology. 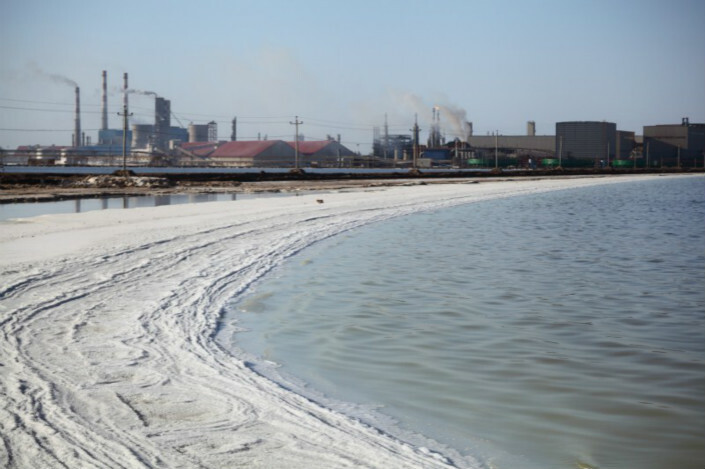 Qinghai Salt Lake Potash Co. Ltd., which has a license to extract lithium from Qarhan Salt Lake, has announced that it will build additional production facilities in the area, adding 50,000 metric tons of annual lithium capacity. But the process of applying successful laboratory techniques to actual production will require more testing, Huatai Securities chief nonferrous metals researcher Li Bin told Caixin. Faced with difficulties producing the metal at home, Chinese lithium processing companies like Tianqi Lithium Corp. and Jiangxi Ganfeng Lithium Co. Ltd. have long been investing in overseas lithium mines. Chinese companies announced nearly a dozen major overseas lithium investments in 2017. Tianqi, which also has a license to operate Sichuan’s Jiajika mine, has turned to Australia, where it bought a controlling stake in Talison Lithium in 2012. Talison owns the mining rights to southwest Australia’s Greenbushes, the world’s largest lithium mine. Zhang Jiangfeng, director of the lithium branch of the China Nonferrous Industry Association, sad that importing lithium was a smart strategy. “When Chinese companies invest in lithium mines abroad and then bring the extracted lithium into the country for processing, … Chinese businesses can still reap dividends from exploiting lithium resources while maintaining China’s domestic lithium resources,” Zhang told Caixin. However, Sichuan Bureau of Geology & Mineral Resources engineer Fu Xiaofang argued that an overreliance on lithium imports will cause China to lose some of the benefits of its new-energy vehicle development to foreign companies. In the long run, she said, this could pose a risk to the country’s energy security. Some experts are also concerned about what China’s dependence on new-energy vehicle subsidies could mean for the lithium industry. The Chinese government's current subsidy program for new-energy vehicles will end in 2020, and the experience of other countries such as the U.S. and Denmark has shown that vehicle sales tend to slide after subsidies end. Analysts at Morgan Stanley said that the world’s hunger for lithium may already be reaching a peak, with 2018 being the last year that demand is expected to outstrip supply. With the gradual increase of lithium production capacity around the world, lithium salt prices could fall by as much as 45% by 2021.